How much do you know about the American Legion? I admit, for me the answer was ‘Not much’ until I discovered that my great-grandfather Edward C. Laughlin—always a mystery to me—had served as an officer for the Bradford Post No. 108 of the American Legion. In fact, he also involved himself in the Veterans of Foreign Wars and several other service organizations upon his return from WWI, which made me curious to learn what those organizations might reveal about his values and priorities. Assistant Secretary of the Navy, 1921. Licensed under Public Domain via Wikimedia Commons. At the close of the Great War, anxious American servicemen waited to return home. 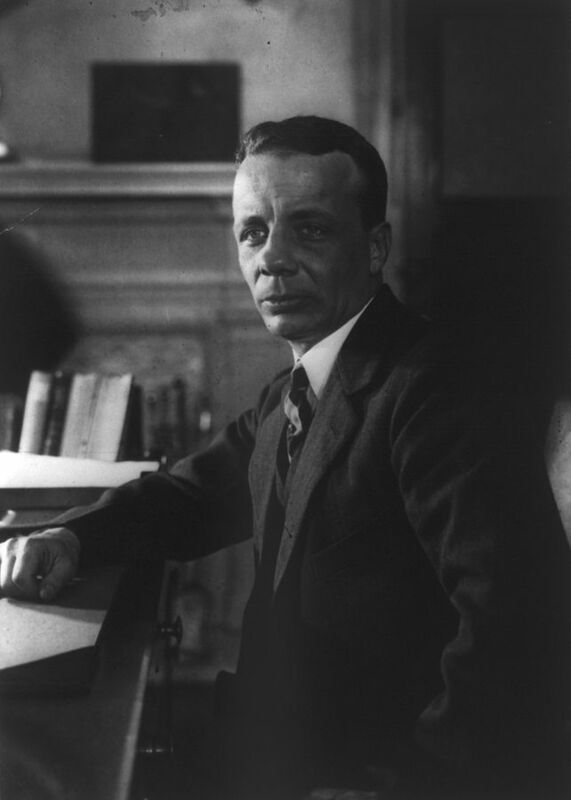 The American Expeditionary Forces Headquarters asked a group of twenty officers who served in France for suggestions to improve troop morale, and Lieutenant Colonel Theodore Roosevelt Jr. suggested a veterans’ organization. 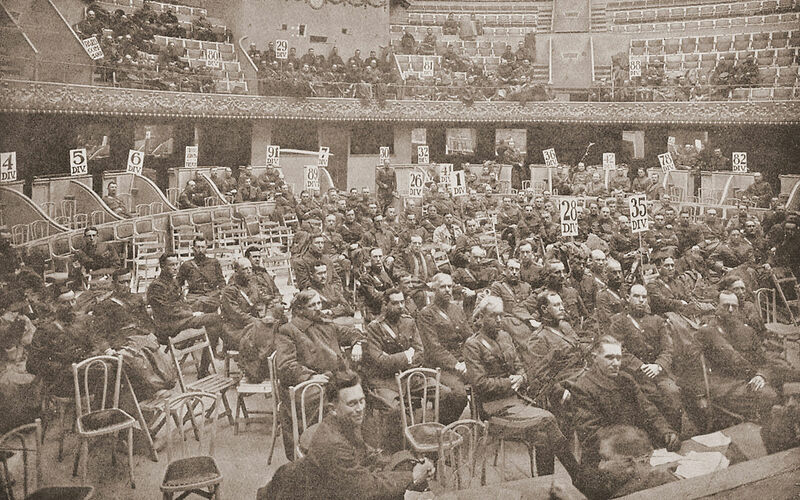 The idea gained traction, and the March 1919 meeting now known as the Paris Caucus saw the drafting of a temporary constitution, the election of committee leaders, and the birth of the American Legion. 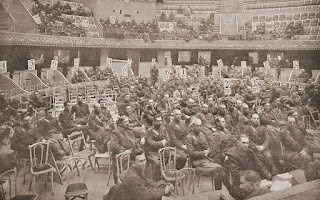 Photo taken before start of the Paris Caucus, March 1919. Paris Caucus-March 1919. Via Wikipedia. As the “Lost Generation” returned home from war—those who did return—the Legion’s mandate naturally expanded. Mobilized forces from the United States totaled about 4,355,000 persons who served, and just as today, veterans’ post-war reintegration adjustments included help getting healthcare and finding employment. The organization also served as a social club, allowing veterans to maintain the connections they’d made overseas. 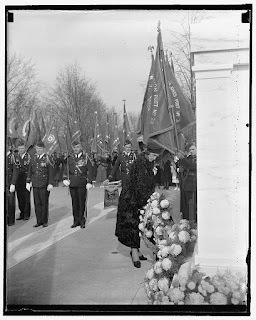 honors the Unknown Soldier at Arlington on Armistice Day, November 11, 1937. The Women’s Auxiliary of the American Legion also formed in 1919. The wives, mothers, sisters and daughters of military men had been stepping up in a variety of ways throughout the war, and many were motivated to continue. On July 11, 1919, the Legion’s national executive committee announced its decision to admit women auxiliary posts. Establishing these posts came with its share of difficulty. Some established women’s service organizations had no desire to form official affiliations and surrender their autonomy. 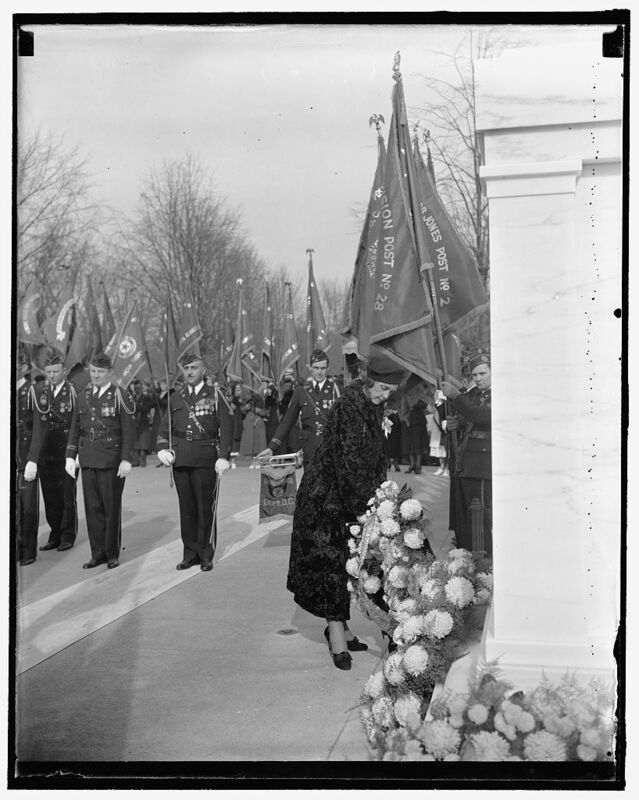 On March 19, 1920, the Shortsville Enterprise reported that Miss Byrd Mock, founder and executive secretary of an unrelated organization called the American Women’s Legion, commented, “While it is our purpose to aid in every way members of the American Legion and all ex-service men, we do not want to become mere hangers-on and to lose our identity.” Additionally, some women reportedly believed auxiliaries old-fashioned, and others feared that their organizations would become ineffective under regulations the American Legion might impose. As the Legion grew, so did its clout and emphasis on winning veterans benefits. One of its cornerstone achievements? A former National Commander, Harry W. Colmery, penned what would later become the GI Bill of Rights, which President Franklin Roosevelt signed into law in 1944. The Legion still exercises its powerful influence for the good of veterans today, with its current membership boasting over 2.4 million in 14,000 posts. Members of the American Legion, like my great-grandfather, saw their membership and service as a way to honor their fallen brothers in arms and continue the fight they’d begun by seeing to each other’s post-war well-being. These earnest lines from a poem written by disabled veteran and published in the Angelica Advocate on July 12, 1923, explain more deeply than I ever could the depths at which this duty was felt. Say, Bud, have you joined the Legion yet? Now don’t get angry and swear. For we never can be pure strangers, you know. And your buddies you left over there. Come on, be a Legionnaire. BRANDY HEINEMAN is a Christ-follower. 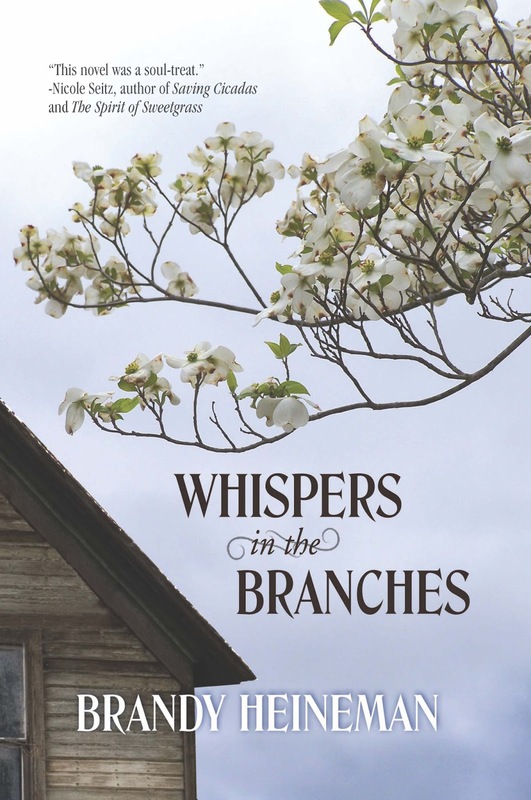 She’s also a book hoarder, a cat herder, a first-generation Southerner, and a self-appointed family historian. She likes to cook when it’s convenient, and to order pizza when it’s not. 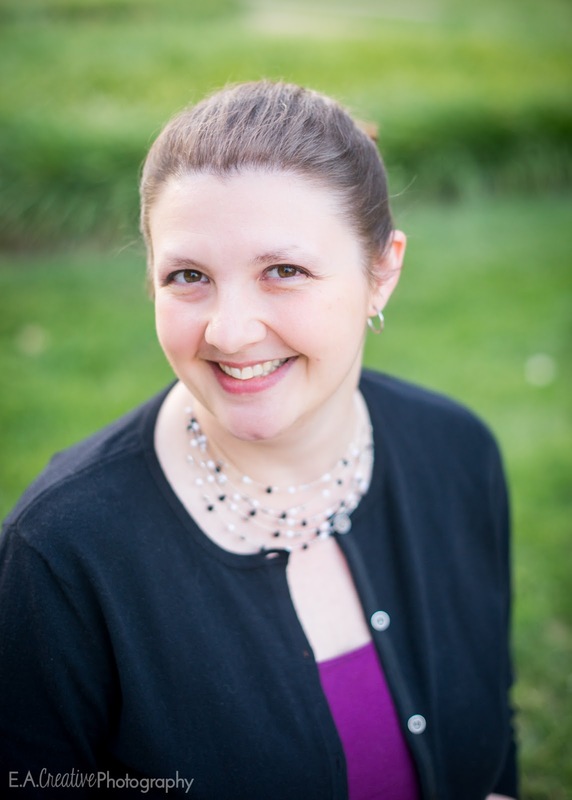 An alumna of Wesleyan College (Macon, Ga.), she has written for ACFW’s The Journal, Writer Interrupted, and Book Fun Magazine. Brandy resides in metro Atlanta with her Captain of Street Cred and super-hero hubby, Michael. Find her on Facebook, Twitter, and at brandyheineman.com. Welcome to HHH! I have to admit that I don't know much about the American Legion. I guess it's not too active in my part of the country. I'm all for a group though that helps veterans. I have a son in the service, who has been deployed three times. Three deployments!! You must be so proud of him, Vickie! Thanks for reading and commenting. I first took interest in the American Legion because of my family history, but perhaps it'll be of practical use for you and for him! Hey Brandy! Thanks for a great post. I grew up in a small town and I remember the American Legion on the street corner. I can remember walking past and hearing the men inside talking. It always seemed like a special place. A place where war heroes gathered. Thanks for guest blogging on HHH! Thanks, Debbie Lynn! That's neat that the organization had a presence in your community. I'll bet the "heroes among us" dynamic is a powerful benefit to small towns with active veterans' organizations. Thanks so much for having me today! Thanks for sharing such a well-researched post. I've watched men walk in the Memorial Day and Independence Day parades, who were from our local American Legion post, but never gave much thought to how the organization came about. What a rich history. It's so nice you have the connection of your great-grandfather. Thank you, Kathleen! It was exciting to find him active in organizations with heart and passion. Even though I didn't have the opportunity to know him, I'm glad to know some of what he stood for in life. Thanks so much for reading and commenting. How interesting! Thank you so much for being our guest here at HHH, Brandy! How neat it must have been for you to find that your Great-grandfather had served as a member. Military research is one of the best parts of genealogy research if you ask me. Thanks, Amber--happy to be here! I agree, military records supply so many details that are difficult or impossible to find elsewhere (although I do have a special place in my heart for finding women's missing maiden names, too!) Thank you for reading and commenting. What an interesting post. I knew very little about the American Legion, so I learned a lot! I appreciate the work of those who help veterans--so important. So glad to have you here on HHH today. Thank you, Susanne! Yes, and it's especially amazing that after serving and sacrificing, they would give even more of themselves to help fellow vets. I'm happy to be here today. Thank you for reading and commenting. Hi Brandy, thanks for an interesting, well presented post. I knew nothing about the American Legion as an organization - except I see the the Halls around town. Now, I'll pay more attention to their community activities. And, oh my, I realized I, too, am a book hoarder. Thanks for being a guest blogger. Enjoyed your well written piece, Brandy. I knew very little about this worthy organization even though an American Legion Post is within a few blocks of my home. So glad to have this background and an explanation of their activities. Thank you. Thank you, Pat, for reading and for your kind words! I'm so happy you enjoyed the post. Very good post, Brandy. I didn't know anything about the American Legion before I read your article. Great research. Thank you, Cindy! Much appreciated. Thanks for reading and commenting!